Indoor decoration of super class buildings such as hotels, restaurants, shopping malls theaters, danceries, cinemas, stations, auditoriums, offices, sitting rooms, business buildings, electronic workshops, precision apparatus rooms and industrial or residential buildings. 6/8/10 pieces per carton with shrink wrap bag and importer trade mark printed on the carton strip. 3. Length ways & Lateral Ruptures Load:7.0MM>110N , 8.0MM>120N, 9.0MM>140N. Installation Math with Top quality T-32/38 grids with 0.30-0.45MM thickness. 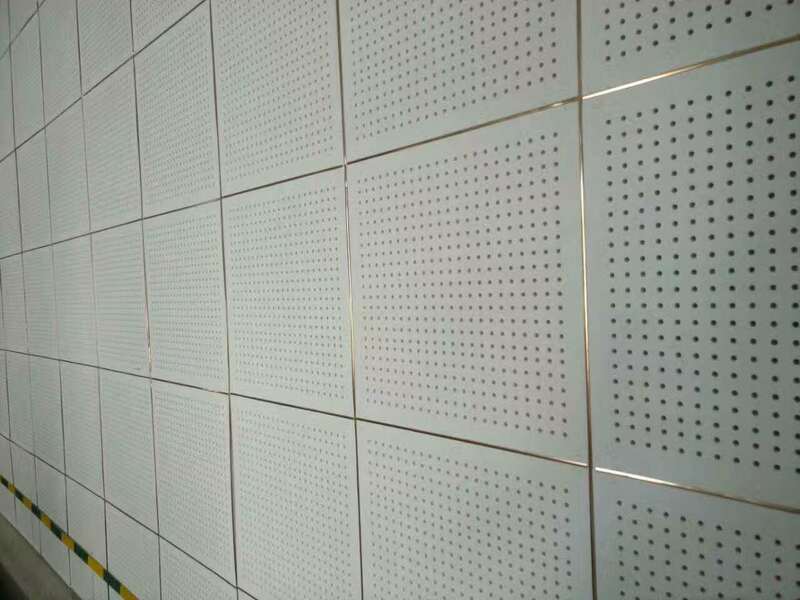 Properties: The top quality pvc laminated gypsum ceiling tile with best aluminum foil backing is of thermal insulation, fire resistant, moisture resistant, no deviation, elegant, economic, environmental and easy installation as the suspend ceiling tile and dry wall partition. Environmental effective resisting dusts conform to the standard of GB6566-2001<>.